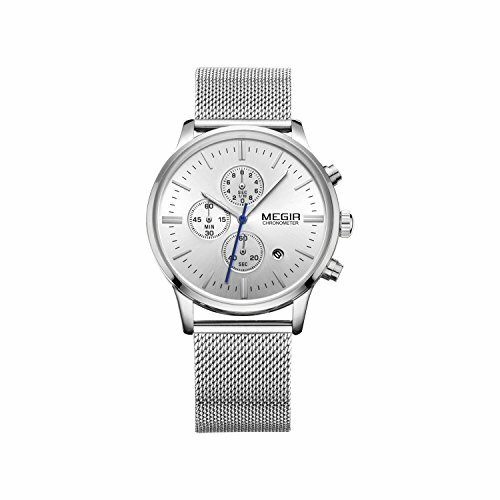 Quartz movement: Precise quartz movement, accurate time keeping and long use life. 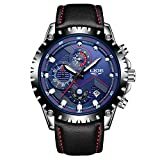 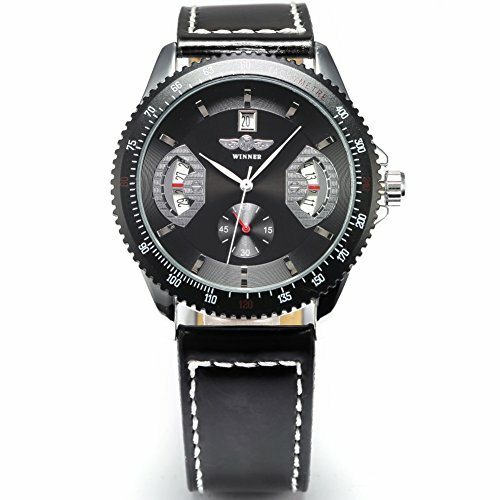 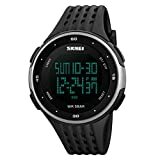 Mens watch: Appeals to mens, Big round dial with 3 sub dials, stop watch, military 24H time mode, and Luminous function make it perfect for all kind of daily use. 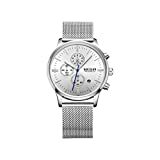 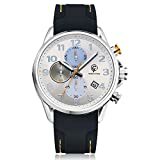 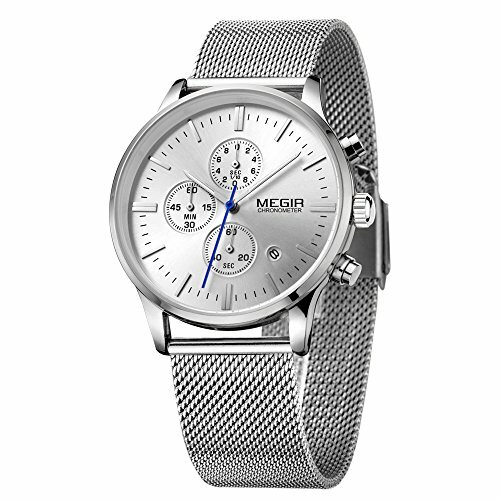 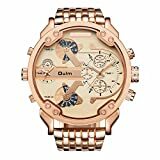 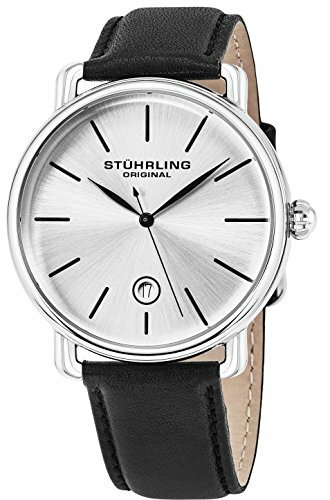 Mens fashion watch: Durable exquisite stainless steel band with concise and classic buckle design, scratch resistant, not hurt your hand or cloth. 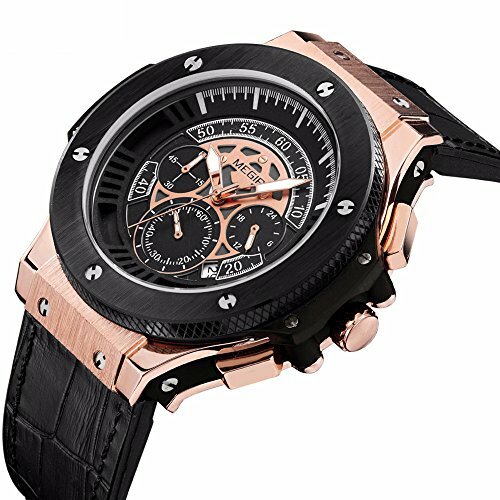 Multifunction Watch: Calendar Date, Seconds, Minute, and Hour function, Water Resistant, Luminous function, Scratch Resistant, Stop Watch. 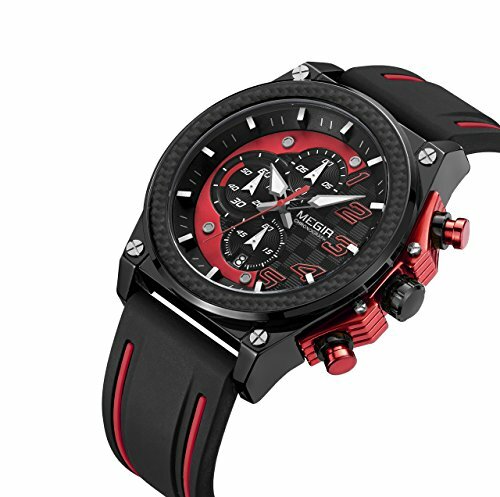 Water resistant to 30 m: In general, with stands splashes or brief immersion in water, but not suitable for swimming and other water-ralated work.